Modern medicine has brought huge health benefits. Now researchers want to go further. 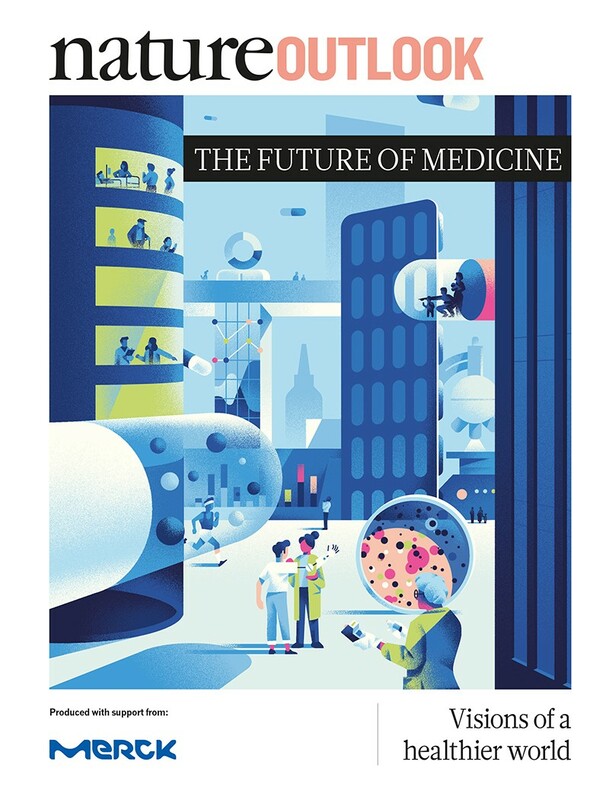 From the nineteenth-century benches of microbiologists Louis Pasteur and Robert Koch to the sequencing of the human genome in 2003, the past 200 years have seen medicine advance at an extraordinary pace. People are now enjoying longer and healthier lives than their ancestors. But as any medical researcher will attest, ambitions go much further. The stories in this Outlook, chosen in consultation with editors from the Nature Research journals, represent some of the biggest opportunities we have to improve our future health. Our selection is not exhaustive, nor can we be certain that all research we report will come to fruition. But if only a fraction does, humanity can look forward to a healthier future. To avoid antibiotic resistance undoing a century’s worth of progress, researchers are racing to restock the antibacterial armoury. Others are exploiting the data generated by ubiquitous computers and smartphones to better anticipate outbreaks of infectious disease. With the potential for gain so great, the prevention of illness is playing an ever-larger part in medicine. Intervention to protect people from long-term disease could begin in the first moments after birth. And although a decline in health in later life might seem normal, there is ongoing debate about where healthy ageing ends and disease begins. Work to exert greater control over rogue immune systems, as well as to develop technological solutions to paralysis, is showing initial promise. The advent of CRISPR–Cas genome editing has raised hopes for widespread use of gene therapy; meanwhile, this technology is also aiding the search for new drugs. As long as barriers to accessing the best treatments available can be negotiated away, the future of medicine could be very bright indeed. We are pleased to acknowledge the financial support of Merck in producing this Outlook. As always, Nature has sole responsibility for all editorial content.